The Miracle-Gro Hybrid Saucer is a must when it comes to your potted plants. It features built-in inner ridges to help promote airflow to your plant's roots, as the excess water is collected at the base. Besides strengthening your precious plant's rooting system, this saucer is safe for all surface types. 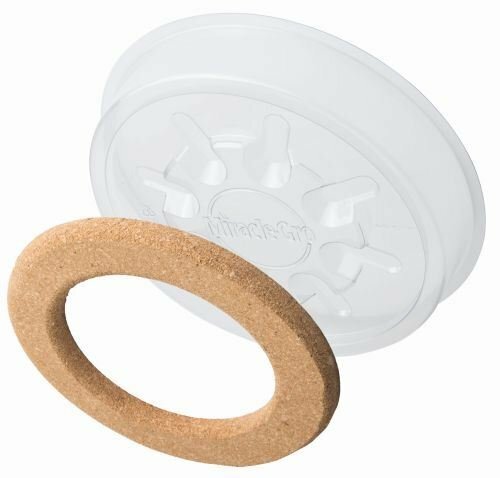 We've designed it with a custom molded cork insert beneath the base, to create a long-lasting saucer that can be used both indoors and out. Spill Protection prevents surface stains. No-scratch cork pad is easy on delicate surfaces. UV resistant plastic is made of virgin materials that won't degrade or discolor over time. Perfect for indoor and outdoor potted plants! Available in 6", 8", 10", 12" & 14" diameters. If you have any questions about this product by Bond Mfg, contact us by completing and submitting the form below. If you are looking for a specif part number, please include it with your message.